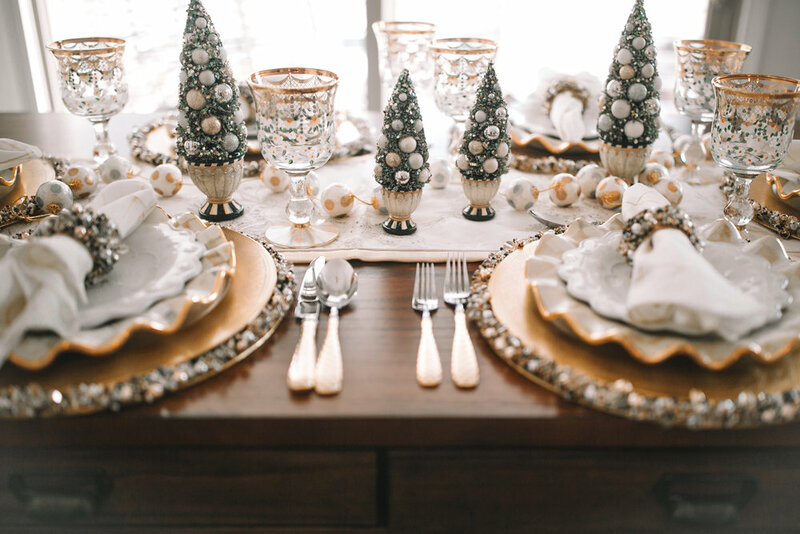 Who doesn’t love a little glitz and glam around the holiday season?! 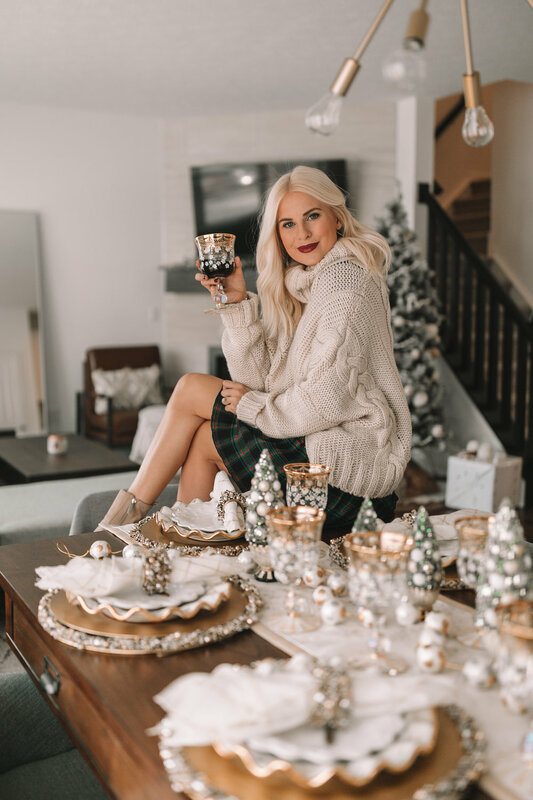 I had so much fun decorating our kitchen with some help from MacKenzie-Childs’ gorgeous holiday collection and now I have the perfect excuse to host a fancy dinner party! You guys may remember that I actually visited the MacKenzie-Childs headquarters in Aurora, NY this past September (you can read more about that trip here). I had the opportunity to see these ceramic pieces being made from scratch and it gave me such an appreciation for this brand! 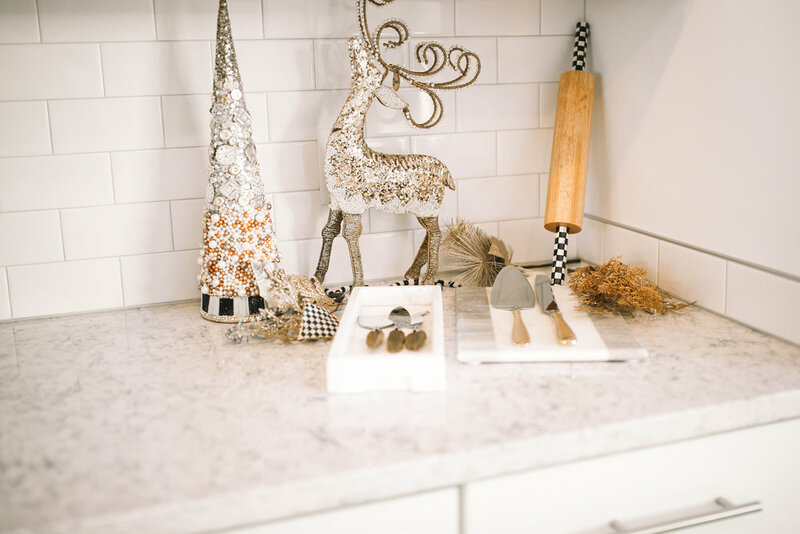 There is so much time and attention to detail that goes into the whole process from start to finish and I love seeing the finished product on my kitchen table. Each piece is truly a work of art with gorgeous details from the hand painted glasses to the beaded decor. 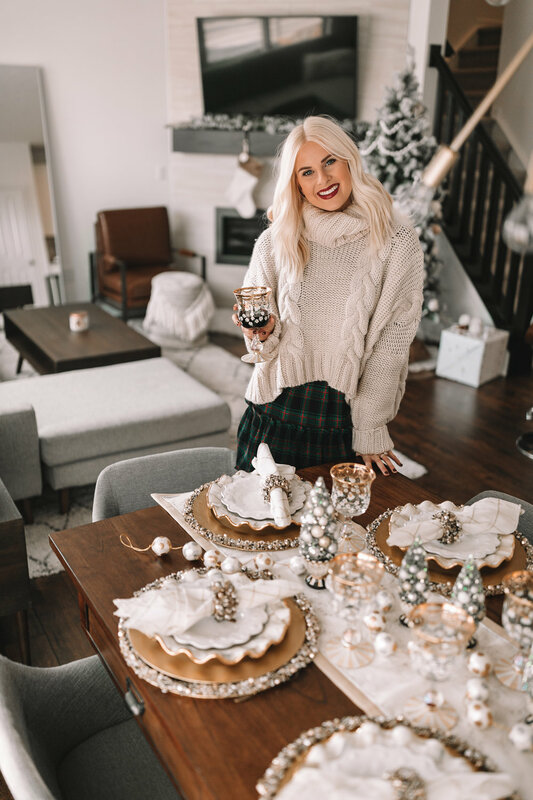 Most of the pieces I picked for my tablescape are from the MacKenzie-Childs Silver Lining collection which is perfect for the holidays. I also added some dinner plates from the Parchment Check collection (I couldn't resist the hand painted gold detail). I finished out my tablescape with a few pieces from their new Sweetbriar collection. I love how easy it is to mix and match pieces from multiple collections to achieve the perfect look! 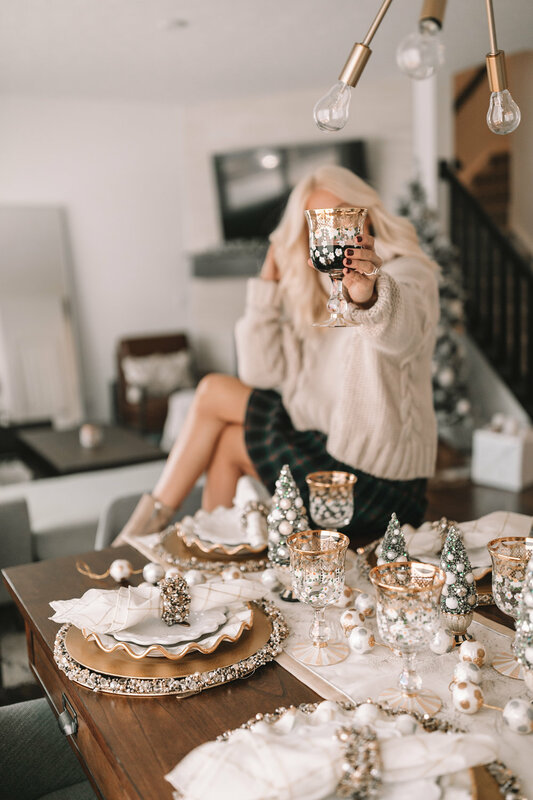 I’ve linked everything below so be sure to stock up for all of your holiday hosting or pick out a gift for your favorite hostess. Cheers! Photography by Amber Bryant Photography. This post was brought to you in partnership with MacKenzie-Childs. All opinions and text are my own. Thank you for supporting the brands I love!